Head coach of MFM FC, Fidelis Ilechukwu insists that United are favourites for a win on Wednesday. Rivers United are back to face the reality on the domestic scene having been dumped out of the CAF confederation Cup. United have a tricky tie in their hands this Wednesday as they take on MFM FC in an outstanding Nigeria Professional Football League (NPFL) tie. The Garden City team lost the reverse fixture 1-2 at the Agege Stadium, Lagos on March 22 and will be keen to take their pound of flesh off the Lagos club. “We come to Port Harcourt for a very tough game against a side with continental experience,” he told Rivers official website, www.riversunitedfc.com.ng. “It will be a game to be enjoyed (by the spectators) because the two sides play good football. “MFM is a young team and we will be coming with the mind set of learning from a side that is obviously more experienced than us,” he said. 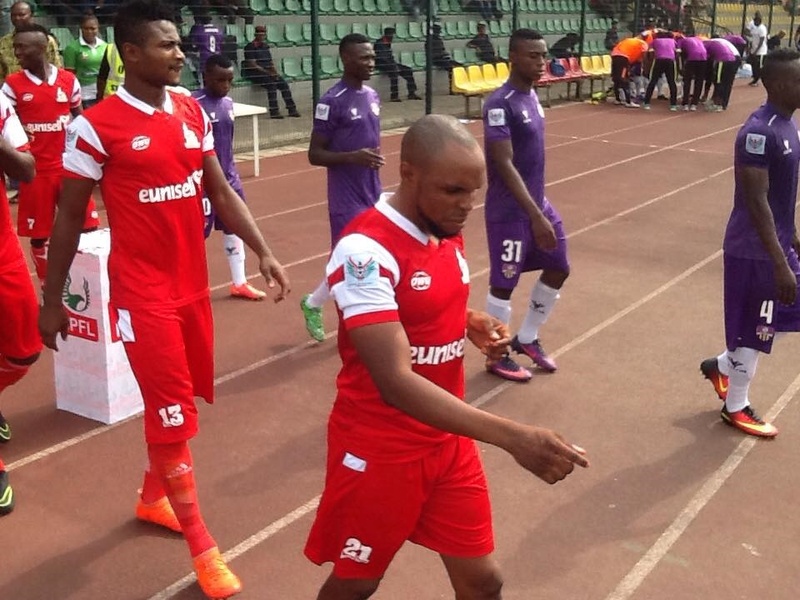 MFM is a fluid and wonderfully-effective side that can punish opposition sides in a heartbeat and that is largely responsible for them punching above their weight in the division this season. In this light, United will have to produce one big effort to win at the Yakubu Gowon Stadium against opposition that will be looking to amass maximum point to close the gap on the leaders, Plateau United to just two points.